Green Project Marketing offers strategic and integrated business development programming to its clients. Our client base ranges from architects, builders, building industry manufacturers, property management and small to Fortune 1000 companies. In the building area where, our team of experts work with architects and builders on ground-up and major renovation projects both in the green commercial or residential areas. We develop business development programs to save builders money on each project while securing sponsors and promoting a given project. We work with each stakeholder to establish clear objectives for project and business relating to a whole-building programs, LEED, LEED for Homes and other certifications, exposure and cost savings opportunities. 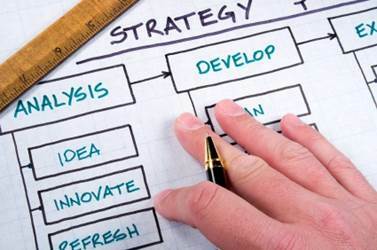 Following the needs assessment period, we develop the strategic marketing plan or "road map." We then work within budget parameters to support each client and project timeline. A well-developed green building strategy will allow all key parties to work well together, establish and nurture key relationships, and remain focused on project budget, cost savings and ROI. For more standard marketing programs, we support branding of companies, products and services, events, public relations and promotions. Branding is a process. It is just not your logo, or website or one interaction. It is a ongoing, consistent programming to ensure top-of-mind-awareness at critical moments when a prospect, client or past client is on a topic where your company and its products or services can be recalled. There should be a correlation, an identity for points of differentiation and a reminder of past successes or awareness in the marketplace that allows your company to rise in recognition. Upgrading a company's branding if stale or not up to industry standards is a wise move. Green Project Marketing's team of marketing and branding experts can sit down and analyze your current branding efforts and devise a plan within budget parameters to reach intended branding goals. We review all existing elements including website, blog, logo, social media channels, collateral, events, press releases, email marketing and video content to wrap our thoughts around where the brand is today and how to bring it up to the next level tomorrow. We stay within budget and monitor progress and make any necessary adjustments to remain on track with each project or programs. We work on a retainer or project basis. In order to support clients in the B2B channel, we delve into market segmentation and business models to develop more efficient strategies for identifying and reaching new clients, creating referrals, nurturing relationships, monitoring off and online presence and driving sales. We review branding, data, analytics, integrated digital marketing, marketing communications and database management areas to support client needs. As we are submersed in the information and digital ages, we are bombarded with interruptions and distractions. What are the best ways to reach prospects? Communicate to current customers? How can we leverage our social media channels to drive three-way communication between customers and customers and customers and our company? We design integrated programs to allow our clients to separate its product and service offerings from industry clutter. We want your company to standout in the marketplace. GPM works closely with clients to ensure programming remains on track. Our implementation is focused and consistent to ensure proper execution and measurement.